This cuisipro can be used on most espresso maker! Cuisipro is not a coffee company per se, but it has make an equipment that is very essential to anyone looking for a good espresso. 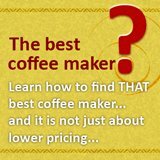 Coffee aficionados know that making a great cup of coffee requires more than just having the right coffee maker; one must have the right tools and accessories as well. It stands to reason that in order to produce a perfect product, one must have the perfect tools – and no one knows this more than Cuisipro. They are a Canadian based manufacturer and distributor of an extensive line of kitchen tools. The brand is a division of one of Canada’s leading suppliers of premium gourmet kitchen products Browne & Co. The company has its own team of in-house researchers and designers to come up with well-engineered, highly innovative and aesthetically pleasing kitchen tools. That is the reason why they have something for every cook as it has over 200 products in their collection to date. What’s more, they also designs OEM products for national and international retail chains. Their customer base includes William Sonoma (USA), Mutal (Japan) and Pearl (Japan). Their products are available in the whole North American Region and has already tapped the markets in Africa, Australia, Russia, Western Europe, and the Southeast Asian Region. 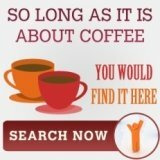 This company also provides an extensive line of coffee making tools and accesories. 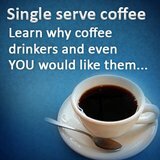 From the Cuisipro spatula to the Cuisipro measuring cups, it has the solution to the needs of every barista. In addition, their accessories are designed to be compatible with almost all coffee and espresso machines, making it easier for the consumer to choose them over any other brand. One of their best selling and highly popular products is the Cuisipro Tamper. 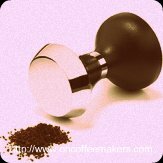 Coffee tampers are used to compress or flatten coffee grounds in order to lengthen the brewing cycle and help in providing a more intense espresso flavor. This tamper has a weighted end that presses down gently on the coffee grounds to ensure its even distribution in the espresso machine’s portafilter. If tamping is not done properly with the right equipment, less oil from the ground coffee will enter the cup and the brewing time will be shorter thereby the espresso produced will not have an intense flavor. This 45mm Tamper measures 6 inches long and has an elegant and ergonomic handle that has been designed to reduce wrist strain. Its weighted end is made of stainless steel while the handle is made of non-slip contoured plastic. Moreover, the tamper has a handy hook for hanging so that it stores easily, plus it’s dishwasher safe too. Best of all, as with all its other kitchen ware, this 45mm tamper is backed by a 25 year manufacturer’s warranty. 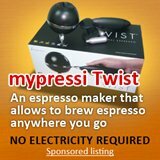 Lastly, it is compatible and can fit in most espresso machines, including DeLonghi, Kruos, La Pavoni, Europiccola and Olympia Express (personally, I thought this is the most important! ).